Developers need to get a maximum return on their investment and a stand-out project on time on budget. However the different needs of the many parties, in any typical project, lead to a lot of money and time wasted. We understand and coordinate how all the parties work together and as a result save the time and money and create more value for the project. The allowances / buyout process is very challenging as it involves in-house parties such as Owner, Architect/Designer and Contractor as well as many external vendors and suppliers. Each function needs and expectations do not always align with the other. The Architect/Designers vision of look and materials do not necessary fit the owner/developer budget. The GC needs quality material, on time delivery and access. An understanding of each of the parties needs paired with the knowledge of where and how these needs can be fulfilled can lead to the optimization. Our approach when designing a marketing sales gallery amenities space and Model apartment is to express the overall design concept in a way that is authentic. Rather than replicating spaces, we imagine an experiential approach that will express the unique design process and perspective of the unique project. 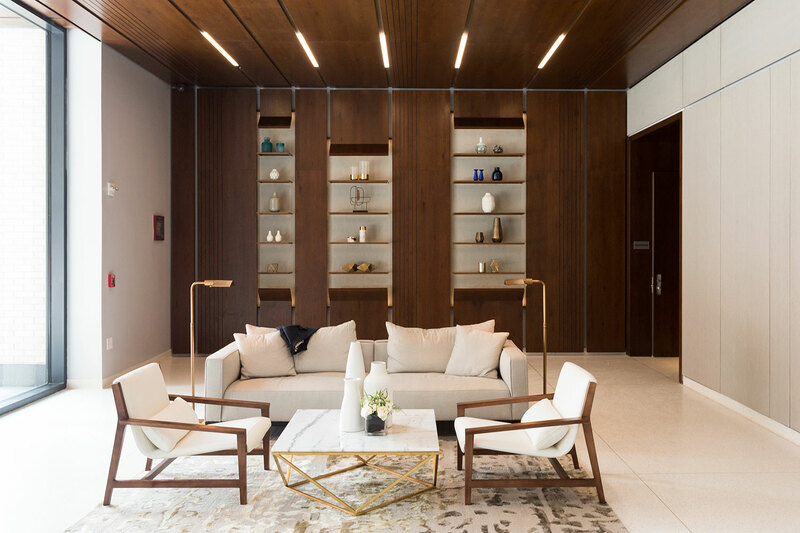 Whether it involves furniture/art/materials, our team will analyze the sales space and create a customer journey that gives visitors a stand out experience with greater understanding of the design and the singular characteristics of the project. We will create a sales gallery that reinforces and defines the project and will give a visitor a warm and welcome experience.